Fall Pest Control Forecast | Any Pest Inc.
Cooler weather, football season, and pumpkin-flavored everything can only mean one thing… Fall is here! Unfortunately with the coming of Fall comes a whole new parade of pests. From bugs to rodents, there are a ton of Fall pests that are trying to make their way into your home this season. Be mindful of the following pests this Fall and prepare for mice, rats, squirrels, spiders, and stink bugs. To keep your property healthy and pest-free this season, make sure to look out for these 5 common pests that tend to be a nuisance throughout the Fall months. Mice infestations tend to begin in the Fall as a result of dropping temperatures. Mice will venture inside of your home seeking food, water, and warmth. Mice multiply quickly and populations can exceed 200 within a matter of months. To prevent mice from entering your home in the first place, be sure to seal all cracks, crevices, holes and gaps larger than a pen cap. Do not use wood to seal these holes, as mice are capable of chewing through wooden surfaces. 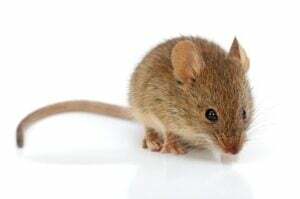 Due to their body shape, mice are capable of shimmying through an opening just ¼ inch across. Cleanliness can also cause mice infestations, so be sure to wash your dishes immediately following use and keep all food stored in containers with tight lids. Mice acquire most of their water from scavenged food particles, so no crumbs should be left on tables, counters, or floors. Every mouse can contaminate much more food than it eats so it is important to take care of a mouse infestation immediately. 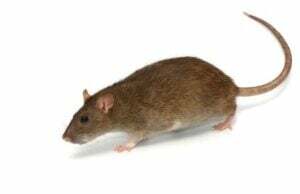 Rats are some of the most common and frightening pests in the world as rats can harbor and transmit a number of serious diseases as well as introduce disease-carrying parasites such as fleas and ticks into your home. If rats make their way into your home you are at risk of food contamination, structure damage, and health risks. Although people don’t usually see the actual rats, signs of their presence are relatively easy to identify. The roof rat and the Norway rat are the two primary species of rats that inhabit North American homes. Rats can birth up to 12 kittens every 23 days, which means that a couple rats in your home can quickly become a full-blown infestation. The most obvious signs of a rat infestation are the presence of dead or living rats, rat droppings, and dirt or grease marks along walls and floorboards. Rats prefer to hide, given enough space, so if rats are observed in plain sight, it is likely that a full-blown infestation already exists. 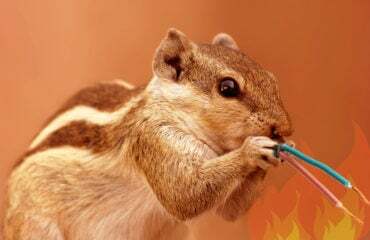 Although they look cute, squirrels are carriers of diseases and their droppings can be very harmful to humans and household pets. The two most popular types of squirrels in Georgia are the gray squirrel and the flying squirrel. 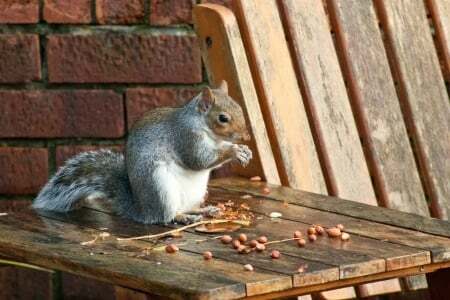 Aside from actually seeing the squirrels in your home, signs of a gray squirrel infestation include gnaw damage as well as daytime sounds of their activity, which will typically occur in an attic. Flying squirrels are nocturnal so if you happen to hear things moving around in your attic at night you could potentially have a flying squirrel infestation. 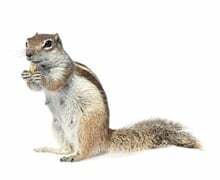 Flying squirrels are a bigger problem than gray squirrels because they live in colonies, so if you see one flying squirrel in your attic chances are there are a lot more living in there as well. In order to keep their ever-growing teeth to a manageable level, flying squirrels constantly chew and gnaw at things, which can cause a lot of damage to your home. Georgia is home to about 10 different types of spiders, and the humid climate of Atlanta is an ideal environment for them. Unfortunately for us, those species include the Brown Recluse and the Black Widow spider, which are both very poisonous. 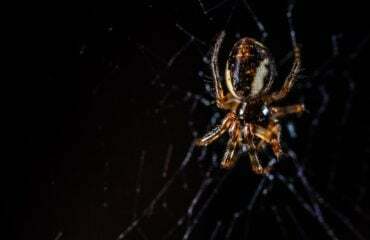 Usually spiders become an issue to humans when they form webs inside of your home, or when there are too many in or around your home. Spiders typically like cold, dark and damp basements and air vents, and will typically enter your home in search of prey. They generally get into homes through poorly sealed doors and windows, or in boxes or other containers that you carry into your home. 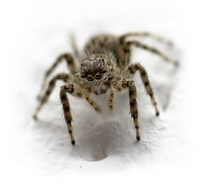 If spiders produce offspring inside of your home, they can become copious and be a nuisance to deal with. While the majority of spiders are not innately hazardous to humans, no one likes having spiders in their home. 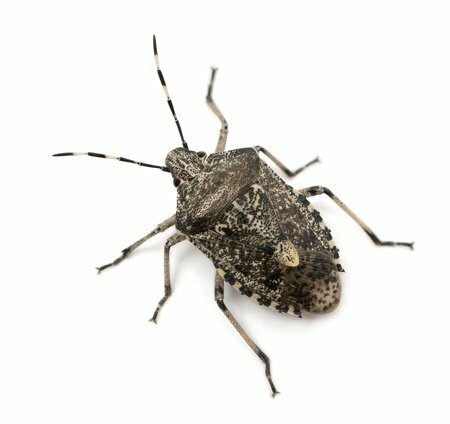 Stink bugs get their name from the pungent odor they give off when they are threatened. Scientists believe this odor helps protect them against predators. Most stink bugs have a shield shape and tend to gather on walls and windows inside of your home seeking a way out. Homeowners often first detect stink bugs by their mass invasions in the Fall when they turn up on sunny sides of homes to warm themselves. As the weather cools down, these smelly critters begin searching for a cozy indoor crawl space to tough it out throughout the winter. The bugs move inside the home through cracks and other openings. 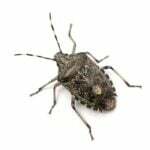 They spend the winter hiding inside the walls or in the attic or crawl space, and then once spring comes, the stink bugs become active again. Homeowners can discourage stink bugs from getting inside their homes by sealing off as many entryways as possible. Fall is a season to enjoy the cool, crisp weather and beautiful changing colors of the leaves; it is not a season that you should have to worry about a burdensome pest or wildlife infestation. 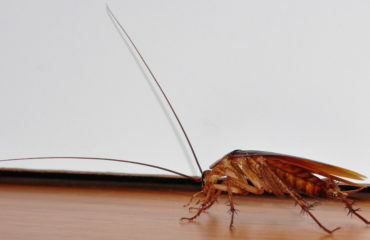 Many of these pest infestations come with an increased risk of property damage and potential injury, so it may be dangerous or inefficient to try to deal with it on your own. If your home is infested with any of the above listed pests, contact the pest control professionals at Any Pest, Inc today. We have been servicing the metro-Atlanta area for almost two decades, specializing in pest control and wildlife control. Contact us for a free evaluation for any of your Fall pest control needs.